Tapering for a 2k erg? Maybe you take it easy for a couple of days, and erg light. Or you take a day off from all rowing and rest. Or you might even have a secret tapering strategy that is guaranteed to leave you brimming with rowing energy and ready to pull hard. 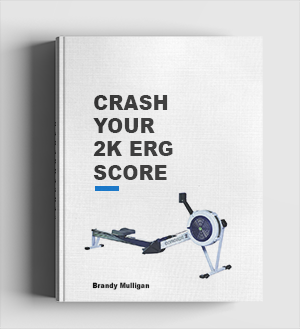 Your very own secret 2k erg test tip. Whatever your strategy, for it to be effective, it must be timed perfectly. 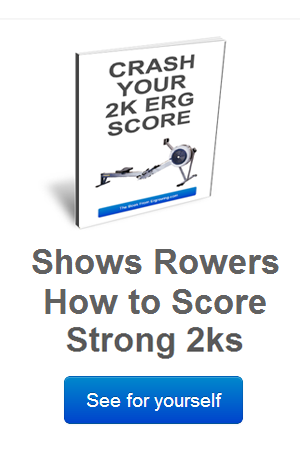 Here’s the secret 2k erging test tip of the day. Most rowers don’t like taking time off. We feel as though we need to be always training even if it’s only an easy 20 minute erg. We feel that the more we train the better we become. And the more we deserve to row fast. But the smart money is on the rowers who can judge exactly when to take some time off. The best time to take a break from erging and rowing is 2 days out from the 2k test. Take 1 day completely away from training and erging. Take it easy and try to avoid stress. But you must erg the following day to keep your muscles, technique and energy systems flowing. If you don’t exercise lightly the day before a 2k erg the chances are that you will feel sluggish and dull on race day. Day 2 (2 days before 2k erg test) – No training. Absolute rest. Day 0(Race day) – Warm up well in advance of the 2k. (at least 60 minutes before hand) for 10 -15 minutes. Then do your normal race warm up.